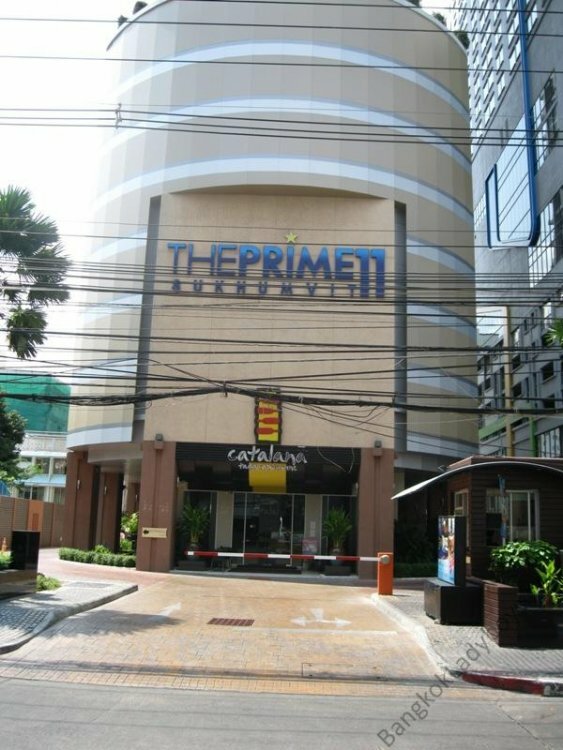 This last trip I stayed at Smart Suites on Soi 11 Sukhumvit. 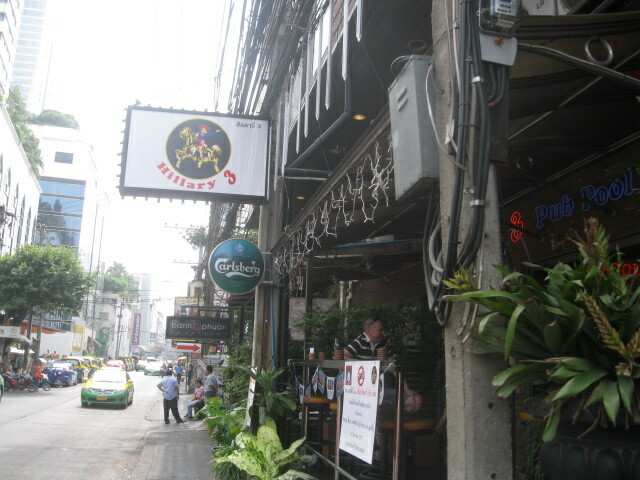 It's located towards the back past LeFenix Hotel so you end up passing by just about everything on the Soi. The only club I've been to is the roof top bar called the Nest on top of LeFenix which I think is well suited to take a ladyboy. Live music doesn't start until later on weekends. Plenty of other clubs perhaps others can fill you in on. Q club, Bed supper club to name a couple. I noticed a couple of changes to restaurants on soi 11. 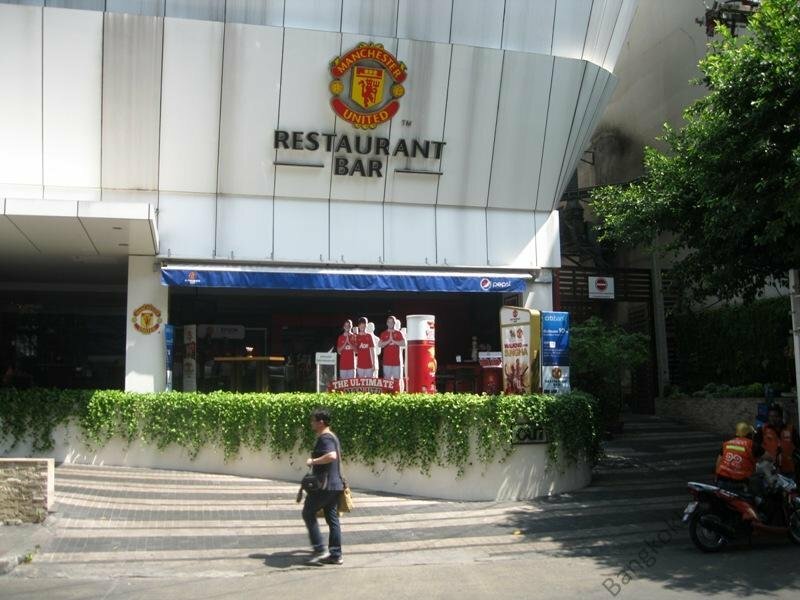 Manchester United Restaurant and Bar has now changed to Champions Restaurant and Bar. Looks pretty much the same as it did in this photo but name has changed. 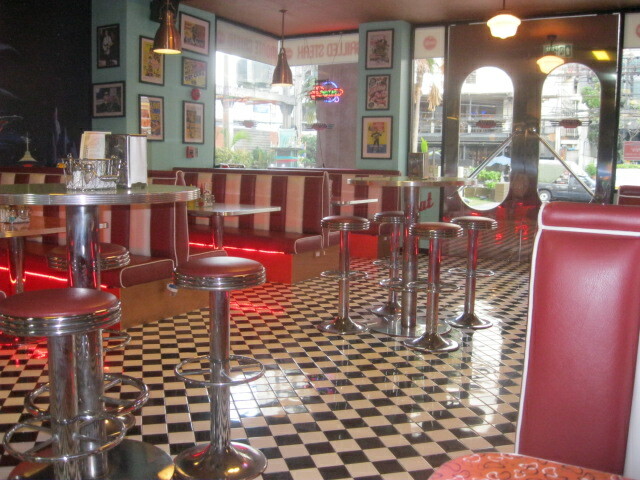 The Catalana which was located under the Prime 11 Sukhumvit is now The American Diner. It's pretty authentic with the decor and the menu. I ate breakfast meal there which was fantastic in quality and portion size. They even had free drink refills like they do in America. 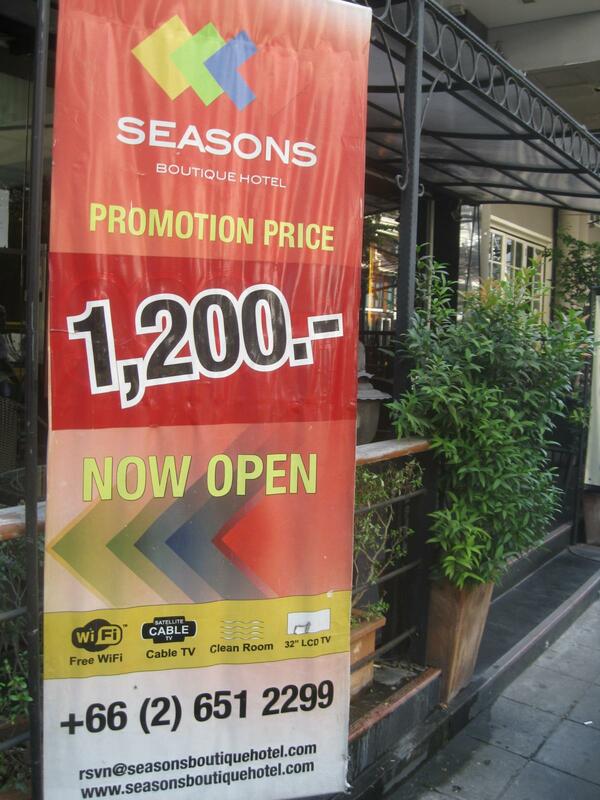 A bit pricey as they cater to the business traveller and tourists. 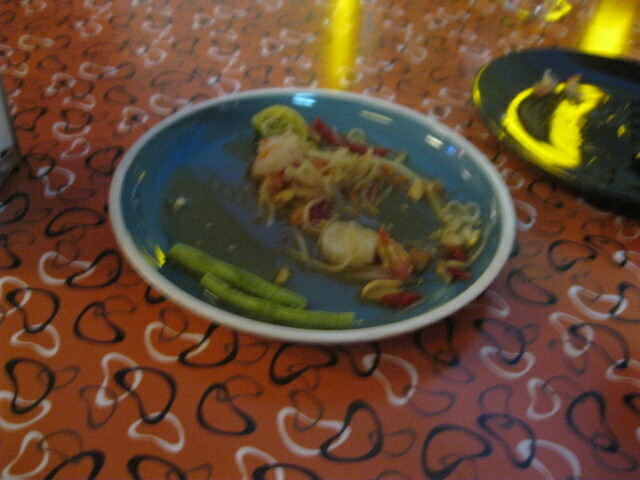 My bill was about 400 baht. 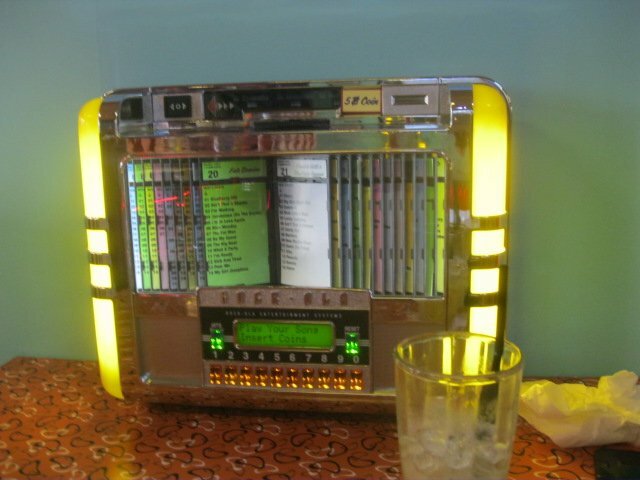 They have a little table jukebox on every table where you can pick two songs for 5 baht. They have a special everyday. Free cocktail with a plate on Thursdays was one I remember. Sorry I didn't have my camera on me this visit. Here is the building when it was Catalina. 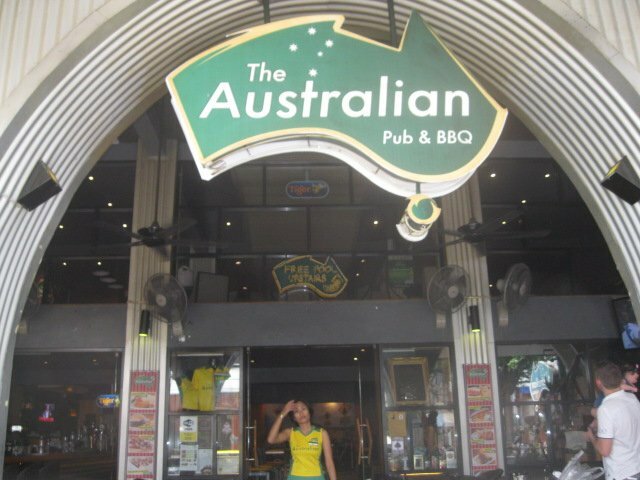 Australian Pub and BBQ is on the left past what used to be Man U restaurant and Bar. I only had brekkie, A bit more expensive at 200 for brekkie and hard to substitute things on menu I found. Service GG's wear little skirts. Breakfast was good. Has open air element which exposes you to Indian salesmen selling watches. Who wears a watch anymore? 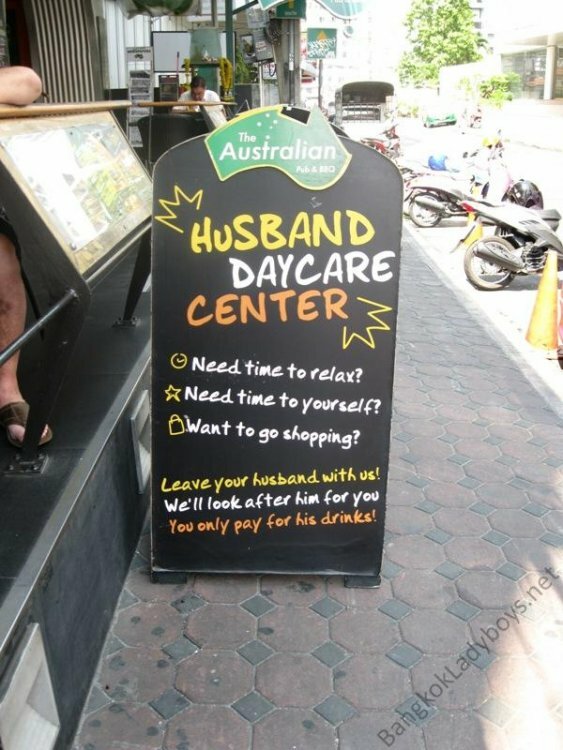 They have a daily happy hour. For those who like Thai dishes from food carts there is an excellent one near the Soi 11 entrance (left hand side as you face Sukhumvit) just in front of 7/11. Great late night and you will often see after work Nana gurlz. 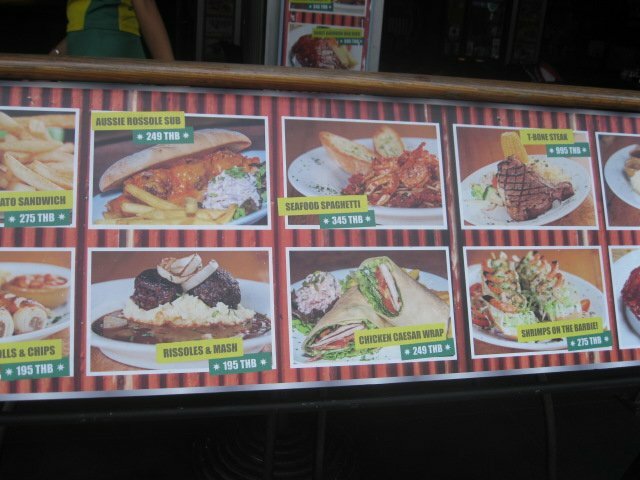 they have a wide array of things and have photos of dishes laminated and priced so you can just point to what you want. Then duck into 7/11 get drink and they will bring to your table. Only drawback is they don't have any tissues/napkins. 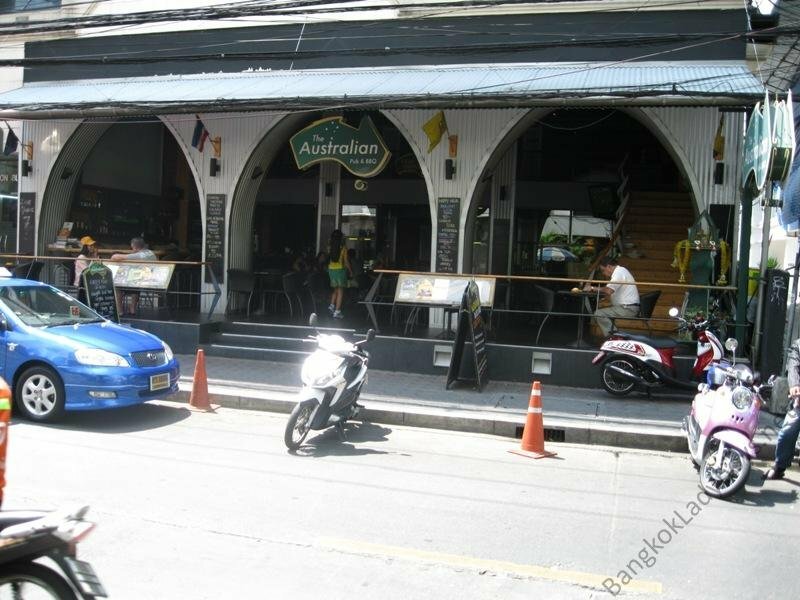 It's my opinion that ladyboy will be more impressed you took her here than some over priced place undercover. chances are she knows about it if she has worked in Nana. Please feel free to add some of your own. 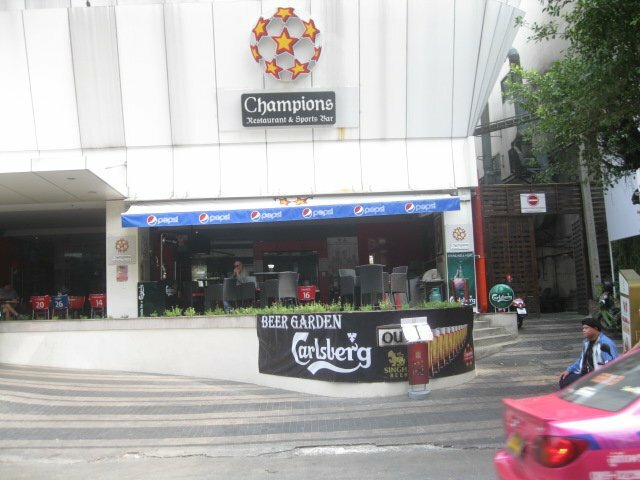 Soi 11 is a nice location between Soi 4 and Soi Cowboy. they have a few bars and clubs and also have some alcocarts. 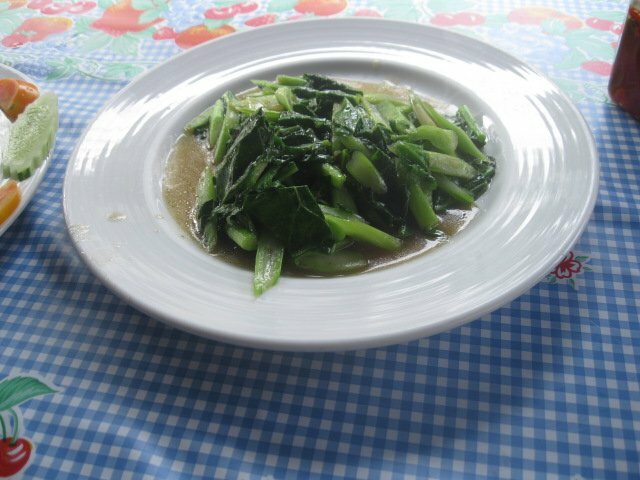 For Thai food I like Zanzibar restaurant. I first went here in 2008 with then my girlfriend Natcha, since then I have been back with Da a couple of times, Kim from Cascade, Michelle a few times including a couple of weeks ago when we met up again just as friends. Limonchello for Italian food as its a little further a long from Zanzibar more or less across from Citidines. They do there own Limonchello shots and the red wine list is good but expensive. 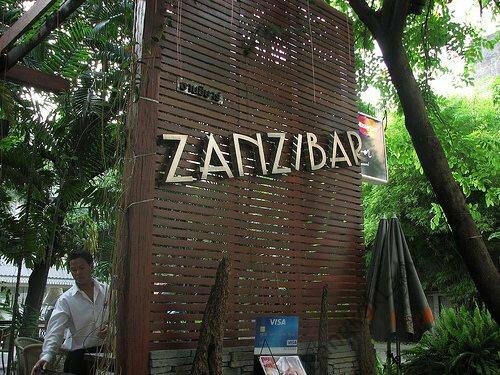 First 4 pictures are of Zanzibar oh just noticed I had took Leyla there as well back in Feb 09 on my birthday. Thanks for posting this information. 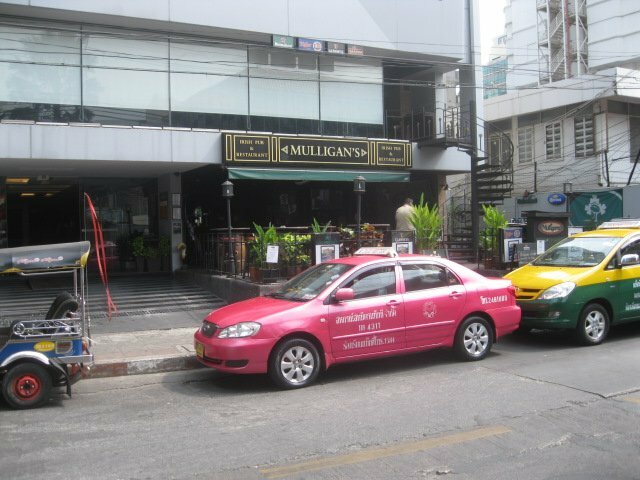 I usually get stuck in the small radius around Soi 4 so next time I will take the long trek down to Soi 11! yes, good choice, excellent food wines and service.... and lb friendly!! 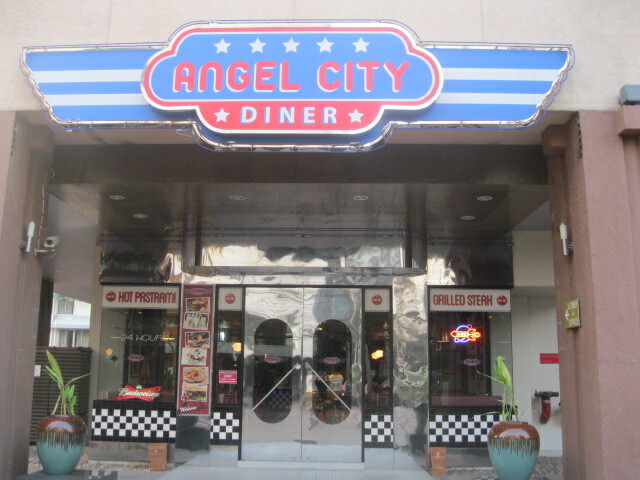 Angel City Diner which I reviewed earlier. 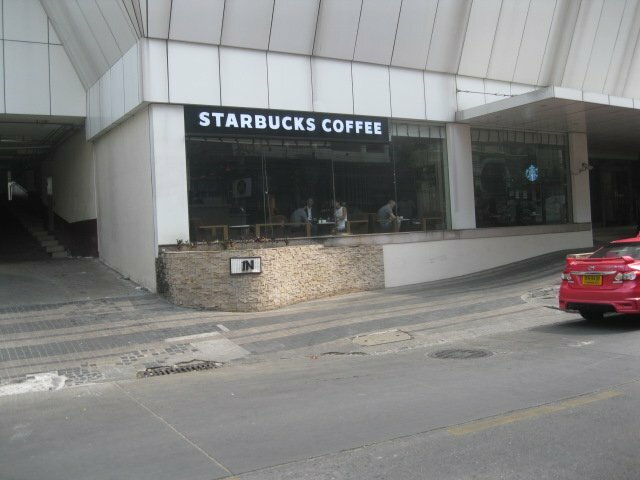 Starbucks for those who enjoy a nice overpriced coffee. Champions Bar and Restaurant which used to be the Man United Bar and Restaurant. 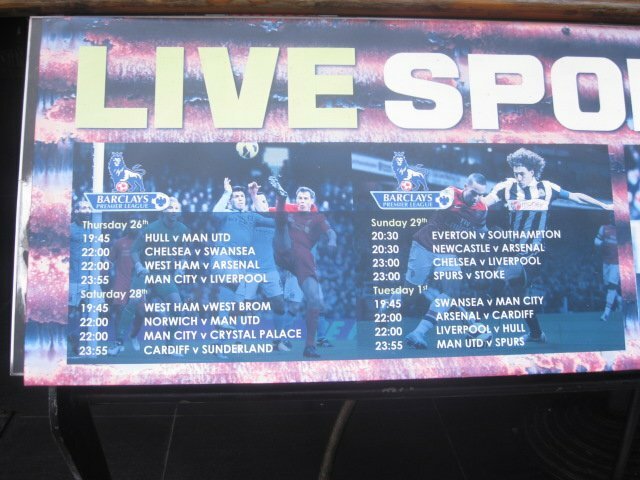 Aussie Pub now advertising Live sport and meal deals. 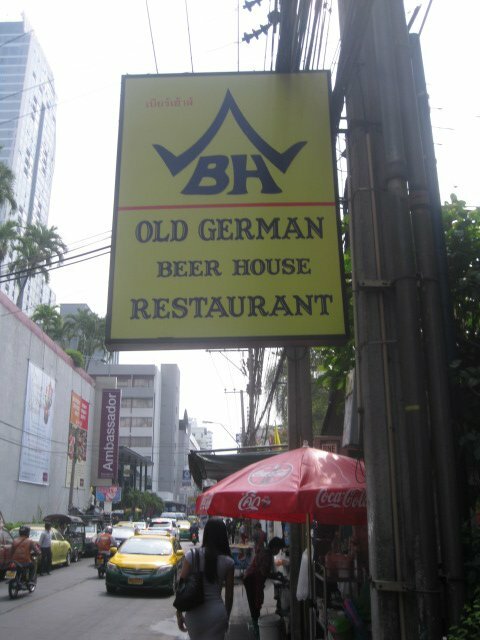 The Old German Beer house and Restaurant. Is that your missus under the Bash sign ? Affirmative, now I just need to get her to try some of these places with me. 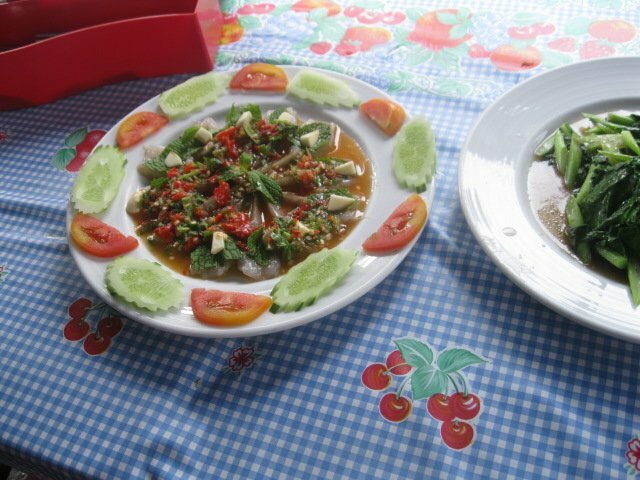 If they don't serve papaya salad they have very little chance. Going back a post...you found coffee in a starbucks? Wonders never cease! This Boutique Hotel is located at same location and is offering a 1200 baht promotion. I'm pretty sure this is new as I haven't seen it before and the fact they are offering this promotion, with Now Open on the sign. 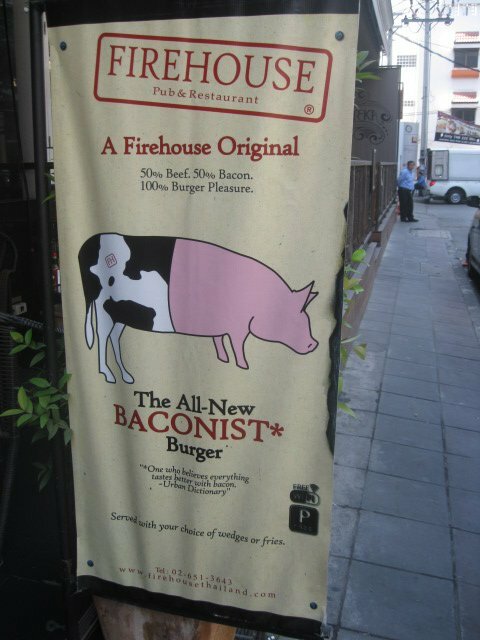 Sounds excellent, ive eaten in there before, top burgers! Prawn sandwich Plastic Fan Bar? 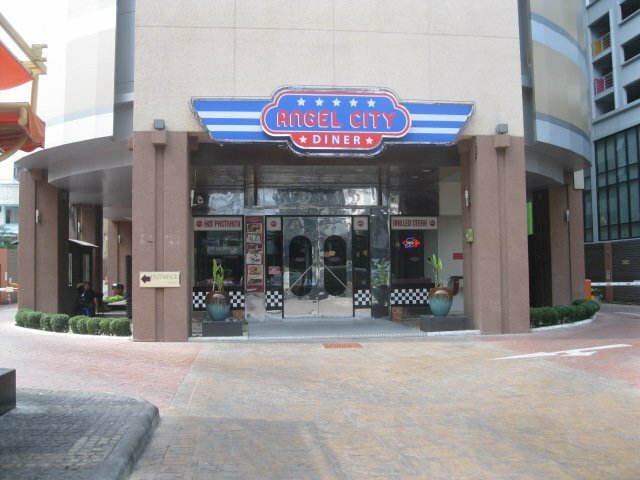 The American Diner is called Angel City Diner. It's located directly across from Citadines hotel. I dragged my gurl there. She had her usual papaya salad while I tried to order a french dip. "finshed" Then a roast beef sandwich, "finshed" So it was the roast turkey which they had. The sandwich was good although a little light on the turkey I thought. The bread was good and the fries were too. Can't beat the free refills just like America. We were the only customers there the whole time. I noticed they no longer had the daily specials. They must handle the room service for Prime 11, but I can't see this surviving. 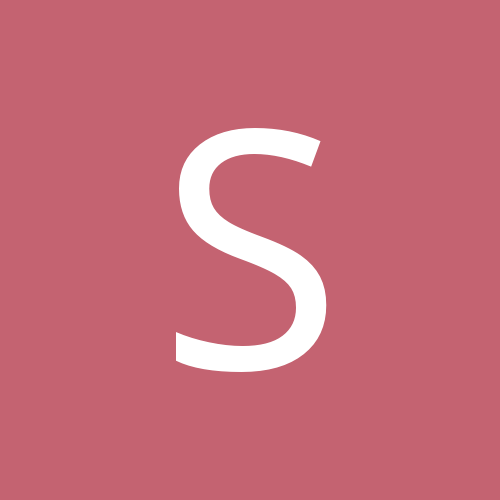 Perhaps another name change or theme is in the cards. 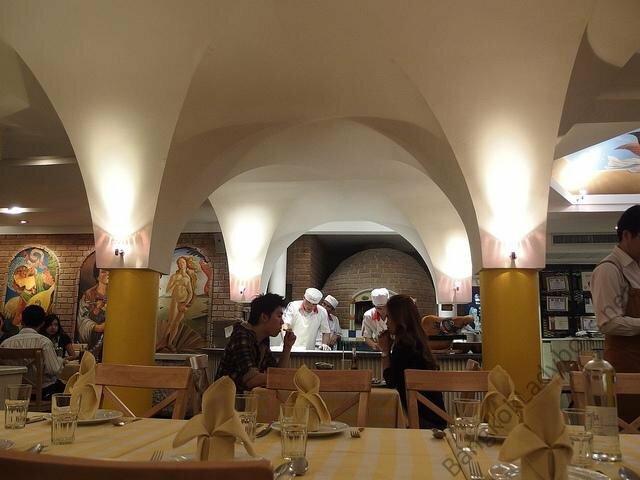 The service was excellent but I think that's due us being the only customers. SM your missus looks a bit sinister with that knife in the last pic! I had an awful experience at the firehouse, food took 45 minutes and came out stone cold.... they were giving priority to food by phone (take away) orders.... never again!! Nice review... I've been to most of these... I thought firehouse was a good pick. 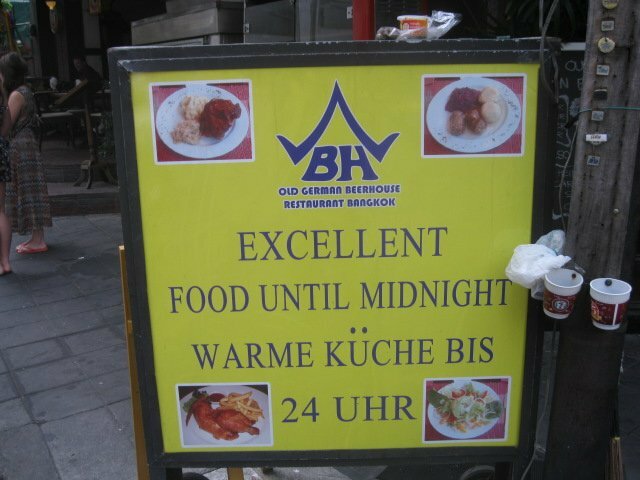 I've been there 3-4 times and always had good service and food. it is small maybe 6-8 tables inside and a couple outside and has always been packed, so I always go early (before 8).... 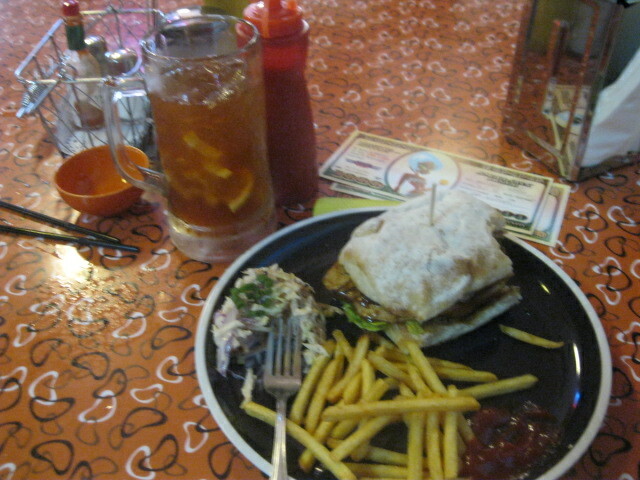 I was mixed on Angel diner, a decent attempt at American food, but not terrific,. The Australian was only OK, if not overpriced. Mulligans has a good beer selection, the appetizers we tried were good, never had a full meal there. 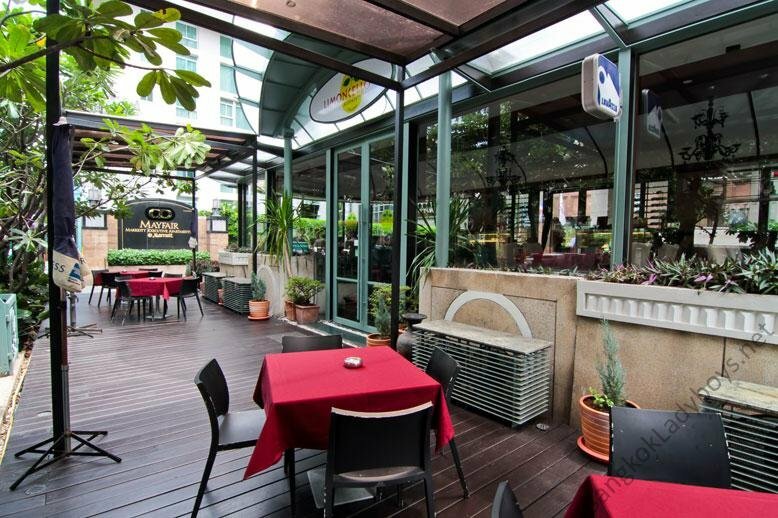 There is also a decent Mexican place, for asia, called Charley Browns Mexicana -- it is on the side soi near cheap charlies outdoor bar, if know where cheap charlies is just keep walking and it is on the left. 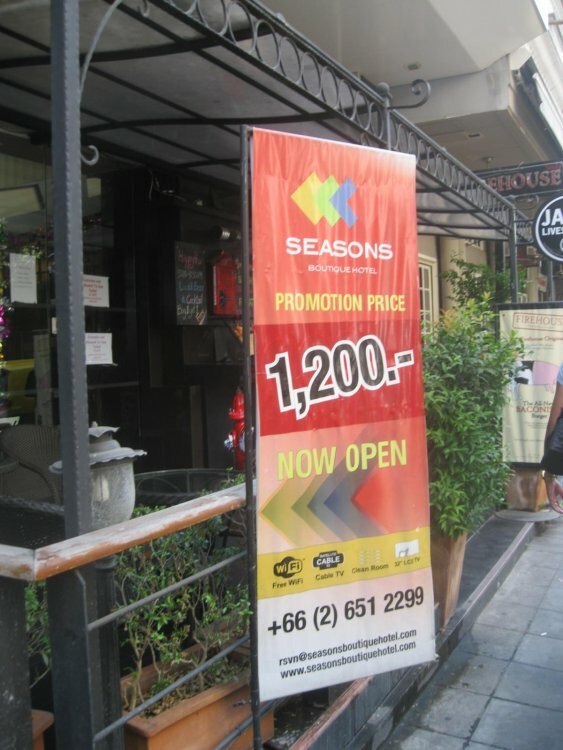 Realised I forgot to post my Review of the Above 11 Bar / Restaurant. 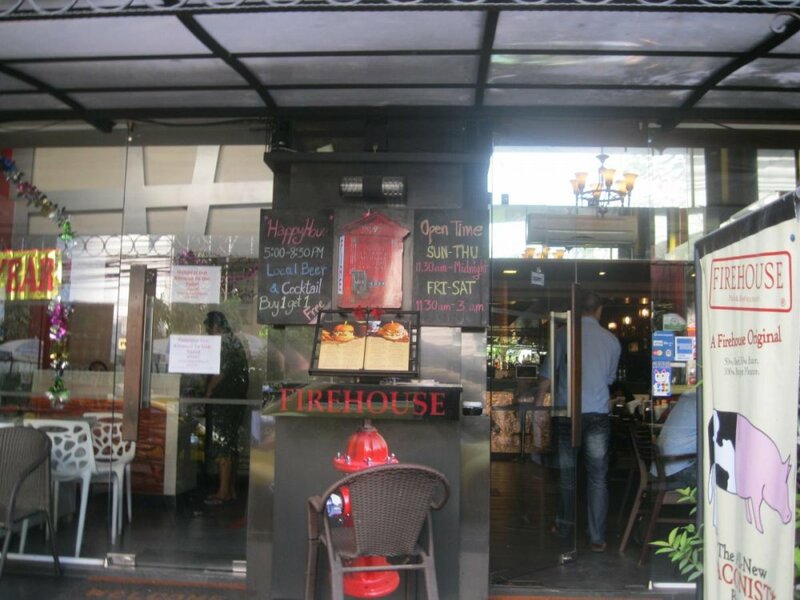 I visited on 4th Feb with my 2 Fav LB (Bee & Patti) and I had already made a table reservation. We entered the lift with a couple of others and was so funny the expression on the European woman,s face was a picture as she stared at me with my 2 Friends. 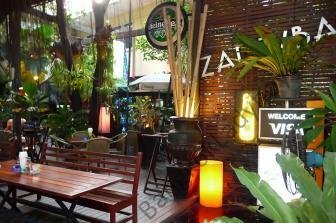 But we were greeted by the Bar by the waitress and shown to our roof side table overlooking Soi 11, and ordered cocktails, a Bottle of Wine and some sushi selection and we were treated just like any other customers so this place id 100% LB friendly. We ordered, the soft Crab, Golden Potatoes, California Roll, Salmon and avacado roll, and a Tuna roll. The Food was very tasty, not the best sushi I have had but certainly edible. The bill with Wine was around 3500THB which I thought was very reasonable. Is that the place on top of Frasier Suites? Any photos? that would have been a great backdrop.